Russell Glacier is, as the name suggests, a glacier which is located in the Municipality of Qeqqata in the central west part of the autonomous constituent country within the Kingdom of Denmark, Greenland. Flowing from the Greenland ice sheet to the west, the glacier is one of the more popular sites for people visiting this nation due to the easy approach. 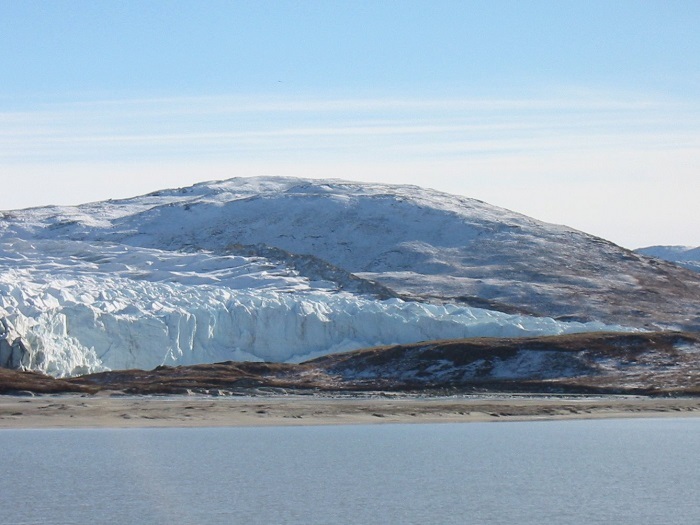 Since it is only 25 km (16 mi) east of the settlement of Kangerlussuaq, this still active glacier is bounded by the Isunngua’s tundra in the north, while to the south it is exposed to the barren, flatten ridge of Akuliarusiarsuk. 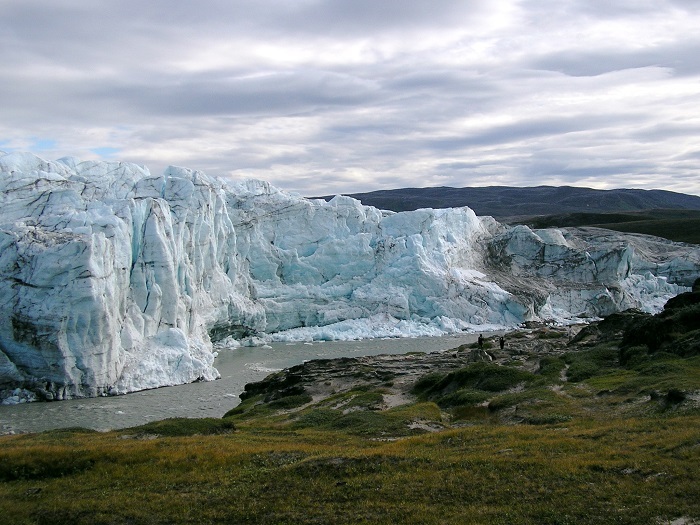 With the easier access to Greenland, there are tour companies that offer a very close experience of Russel Glacier, where people are allowed to hike along the glacier’s edge, while enjoying the immense ice structure. 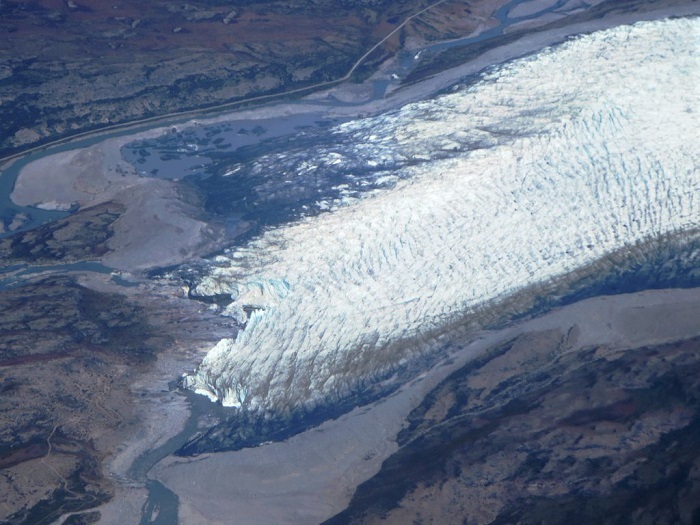 Still, one of the scarier features that the glacier has are the several melt-water outflow streams that endanger the entire structure. 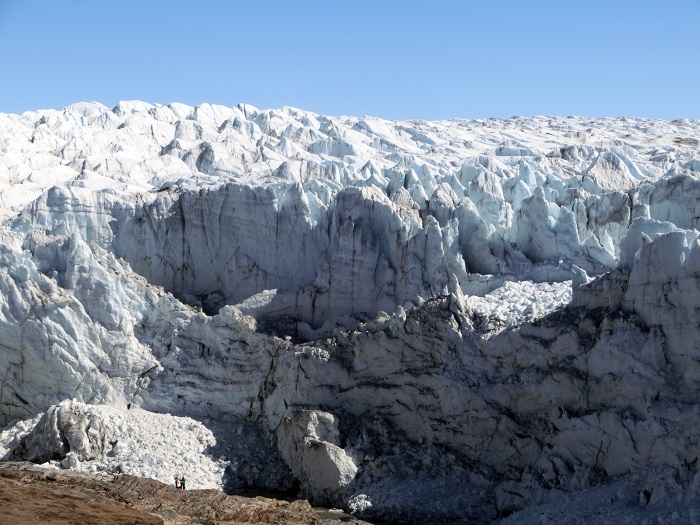 As the ice melts during the summer months, the glacial thinning and instability within the colossal walls can result into sudden break, which is why it is recommended when visiting the glacier to be extra careful. 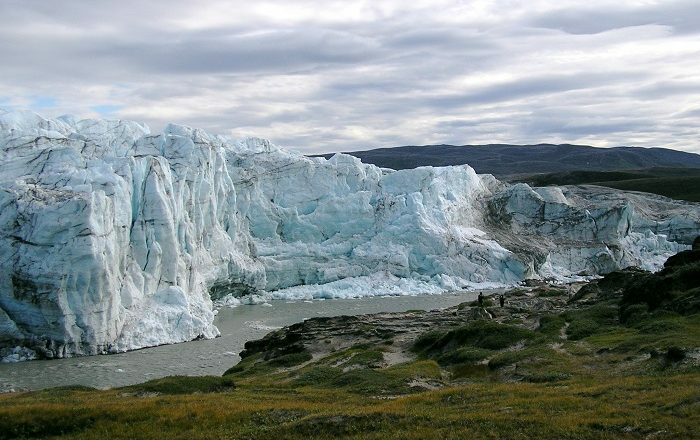 With the slow movement of the ice of about 25 meters (82 feet) per year, its unbelievable power can be monitored across the landscape with the crushed rock below, where it is deposited. 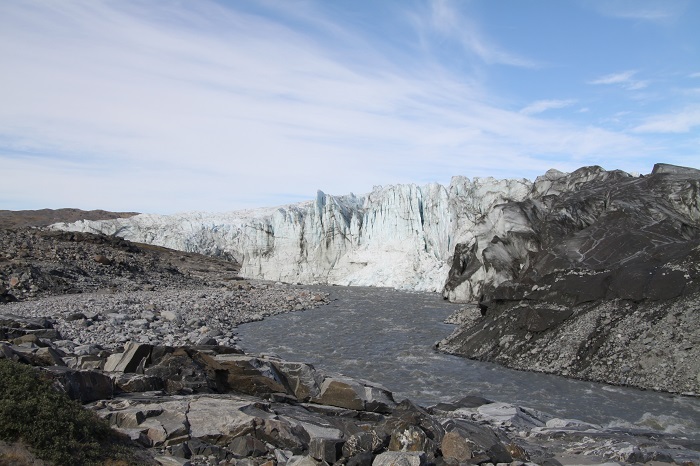 The gray crushed rock is deposited from the crushing weight of the glacier that was “saved” throughout the years, and it is also the reason why Kangerlussuaq Fjord has its steely gray color. All in all, a definite marvel from Greenland which should be monitored constantly due to the impact it shall have on the climate with the melt-water and methane build up, Russell Glacier will be a marvelous place that can be visited by plenty of Arctic enthusiasts.